Stomach pains are extremely common and can come and go within an instant. When you have an upset tummy, it can wreak havoc on your health and wellbeing. You may be unable to eat, and it could cause other health issues that lead to you losing weight, fast. 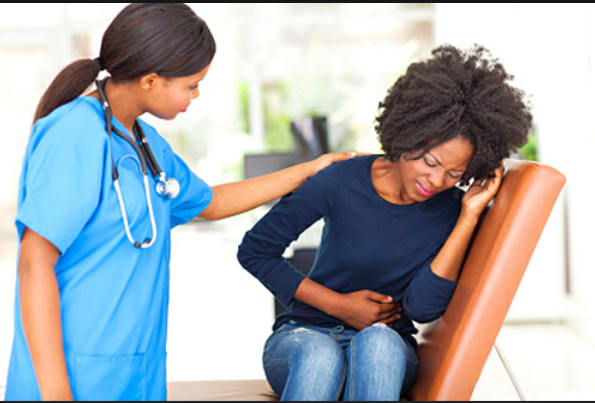 Naturally, one of the main causes of stomach pains in women is down to periods. Some people have these more than other, it just depends on your body. But, if you wake up and have stomach cramps that don’t seem to go away, make sure you check your calendar. If it’s your time of the month, there’s a high chance these are just period pains. These are easily treatable, you just need a pain relief tablet or two to take throughout the day. Irritable bowel syndrome is so common amongst many people. This is where your tummy reacts badly to certain foods and causes you to feel stomach pain and sometimes sickness. You’ll also have a tendency to release gas more often, which can leave you feeling embarrassed. IBS symptoms can sometimes come after you’ve eaten certain foods, and they can last for a long time unless you treat them. You can control the symptoms with some probiotics for IBS, to help your digestive system work better and free you from any pain. In summary, if you’re feeling gassy and have stomach pains after meals, then it could be IBS. Another common cause of stomach pain comes from indigestion. Now, this is quite similar to IBS, but there are some differences. Mainly, IBS is a condition that you have, and the symptoms may go away for a while, but they can always come back. Indigestion is simply something that happens after you’ve either eaten too much, eaten too quickly, or just eaten a certain type of food that doesn’t sit well with your stomach. You’re likely to feel bloated if you have indigestion, and it can make you want to lie down and not eat anything until you feel better. The good news is, it can be controlled with antacid tablets and tablets for acid reflux. If you’re always bloated after meals, try eaten slower, reducing your portion size, or switching up your diet to include more fiber. Fiber helps with healthy digestion and is always needed in your diet. These days, people get caught up in ‘protein rich’ diets and forget about other important things like fiber. As a result, they struggle to digest things and get indigestion. These are three common causes of regular stomach pains. If you keep getting a sore tummy that’s disrupting your health and stopping you from doing things, then it’s most likely down to one of these reasons. Make sure you treat your stomach pain so you gain relief from it and can get back to being your active self once more. Planning The Best Birthday Ever! Summer Makeup Swaps: Beauty Products To Buy Now!